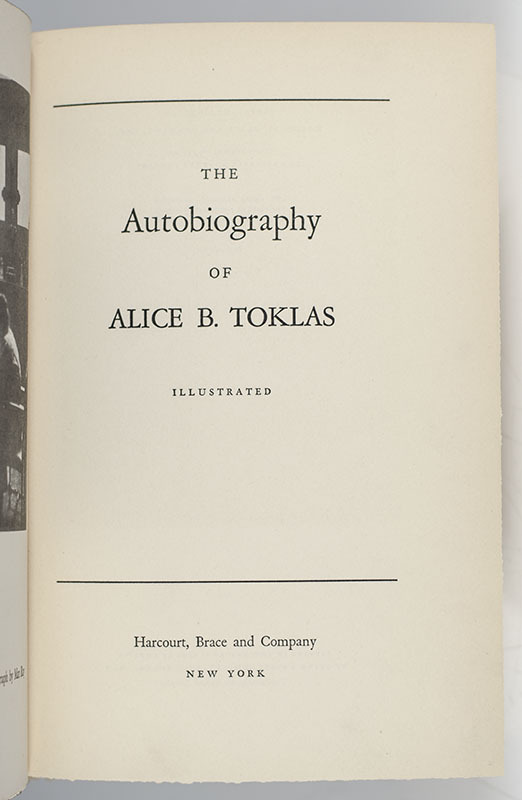 The Autobiography of Alice B. Toklas. New York: Harcourt Brace and Company, 1933. 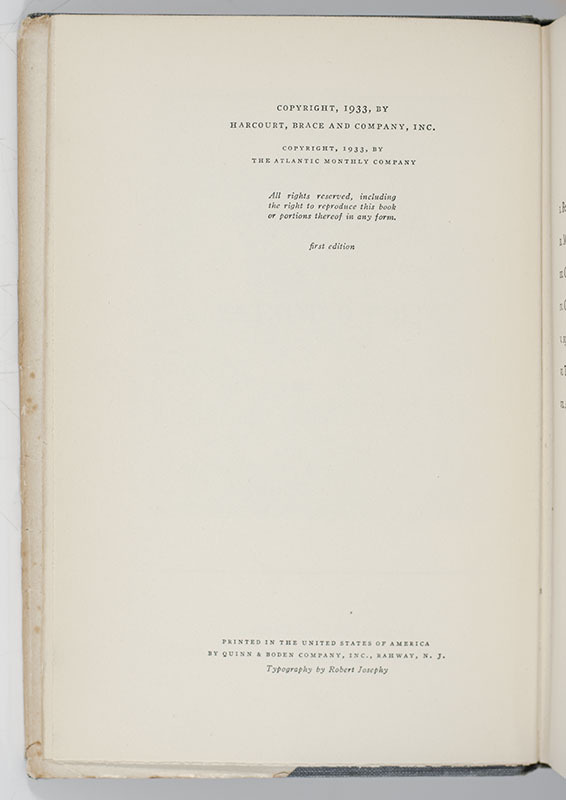 First edition of Gertrude Stein’s most famous work; one of the richest biographies ever written. Octavo, original cloth, illustrated from photographs. Inscribed by Gertrude Stein on the front free endpaper. Near fine in a very good dust jacket with some wear and tear. Housed in a custom half morocco clamshell box. 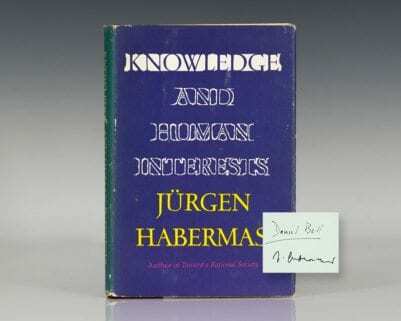 Signed first editions are uncommon. 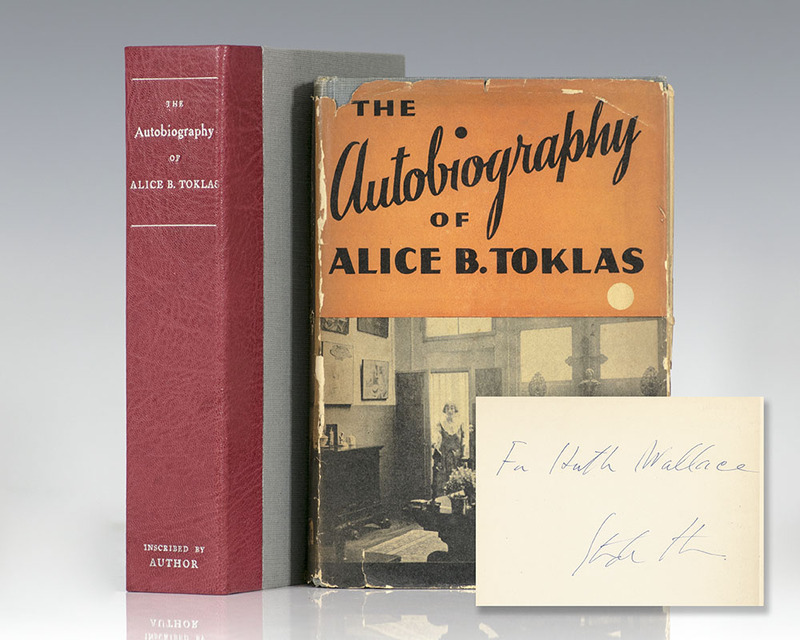 Largely to amuse herself, Gertrude Stein wrote The Autobiography of Alice B. Toklas in 1932...using as a sounding board her companion Miss Toklas, who had been with her for twenty-five years. 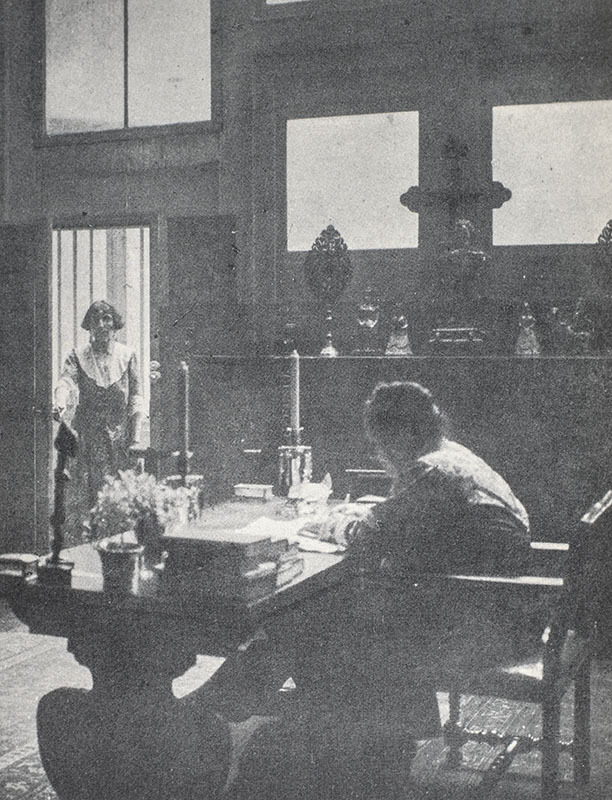 It has been said that the writing takes on very much Miss Toklas' conversational style, and while this is true the style is still a variant of Miss Stein's conversation style. 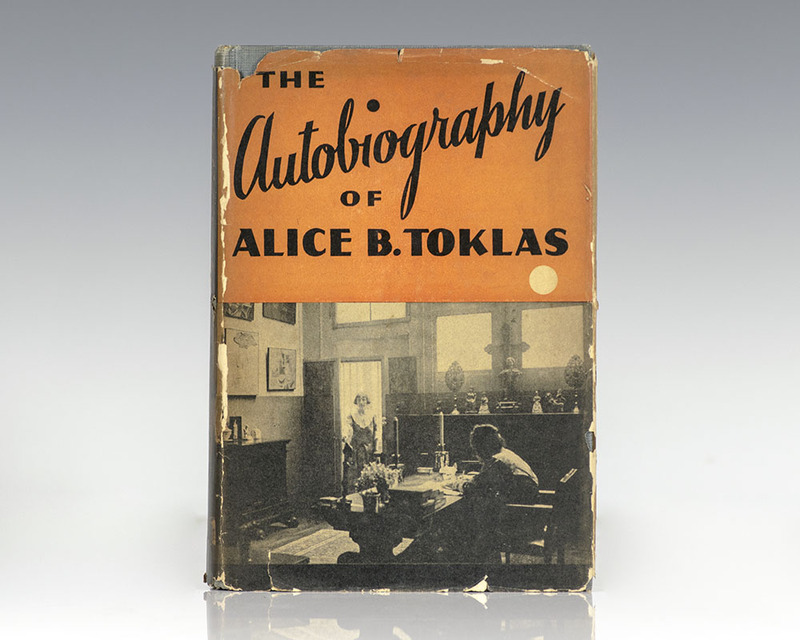 ...She usually insisted that writing is an entirely different thing from talking, and it is part of the miracle of this little scheme of objectification that she could by way of imitating Miss Toklas put in writing something of her own beautiful conversation. So that, aside from making a real present of her past, she created a figure of herself, established an identity a twin, a Doppelganger.... The book is full of the most lucid and shapely anecdotes, told in a purer and more closely fitting prose... than even Gide or Hemingway have ever commanded" (Donald Sutherland). 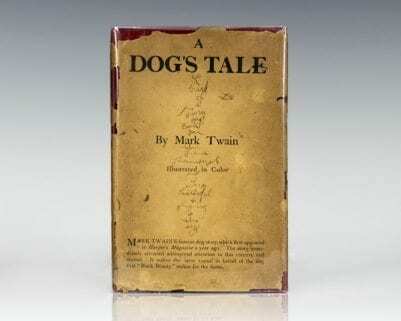 It was listed by Modern Library as one of the greatest English-language nonfiction books of the 20th century.